A large range of vessels cruise regularly around the Whitsunday Islands and the options start with choosing the right catamaran or yacht. More options to consider include steering a boat yourself or using a crew, and then deciding what size groups to go with. 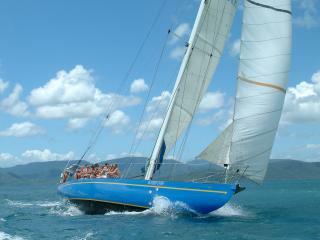 Reef and island day trips from Airlie Beach and between the Whitsunday Islands are also available. The sheltered warm waters of the Whitsundays make boating holidays irresistible, sail yourself around the calm waters of the Whitsundays on a bareboat sailing charter or motor cruiser with Whitsunday Rent a Yacht. Take a week or two to explore the magical Whitsunday islands, renowned as the finest region in Australia for cruising and sailing. 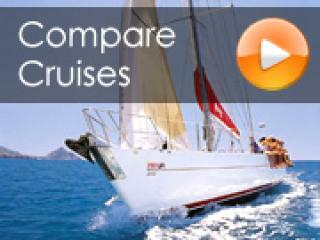 If you are looking for an action packed fast paced fun Whitsunday cruise then the adventure cruises are for you. On all cruises you are able to participate in sailing, snorkel the coral reefs and swim in the pristine waters of the Coral Sea and visit the icons of the Whitsunday's such as Whitehaven Beach (weather permitting). The Classic Whitsunday Cruising experience is tailored to suite couples and individuals seeking a stylish Whitsunday sailing adventure at a more relaxed pace. Low numbers - approximately 6-20 passengers, comfort aboard and a focus on the region's natural attractions are the key features of these cruises, with plenty of time of snorkeling the reef, relaxing on deck and swimming. 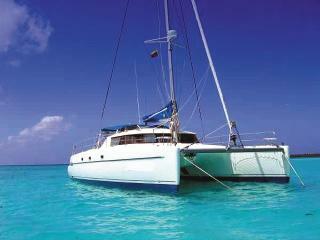 Here is an opportunity to enjoy an unforgettable cruise aboard some of Australia's most sleek and graceful yachts. While sailing the Whitsunday's in luxury you can expect great service and food from your professional crew while exploring the Whitsundays and Great Barrier Reef Marine Park. Explore idyllic worlds no cruise ship can visit. If you want to participate in sailing you can, or simply sit back, relax and sail through the Whitsundays in style and luxury. Enjoy the trill of Tall Ship Sailing in the Whitsunday's, snorkel over coral reefs, bushwalk and visit the icons of the Whitsunday's such as Whitehaven Beach. 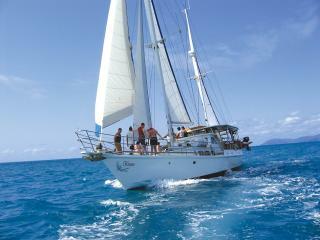 Your crew will help you discover and appreciate why the Whitsunday's are World Heritage listed. 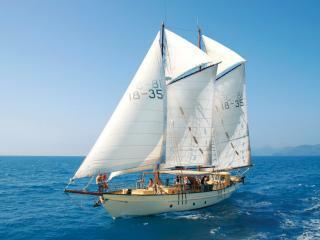 Take the voyages of a life time on an icon Australian Tall Ship and experience the difference. Learn to sail in Australia's premier sailing ground, the Whitsunday Islands with its premier sail training school, the Whitsunday Marine Academy in conjunction with Prosail. The Academy is accredited by Yachting Australia and International Yachtmaster Training (IYT), providing Internationally recognised recreational and professional sailing qualifications.